Representatives of the Association for Protection and Preservation of Natural Environment in Albania (PPNEA) together with local stakeholders and the three Prespa mayors celebrated the Green Belt Day at the shore of Great Prespa Lake, Oteshevo, Macedonia, on 24 September 2016. A lot of activities were held this day. 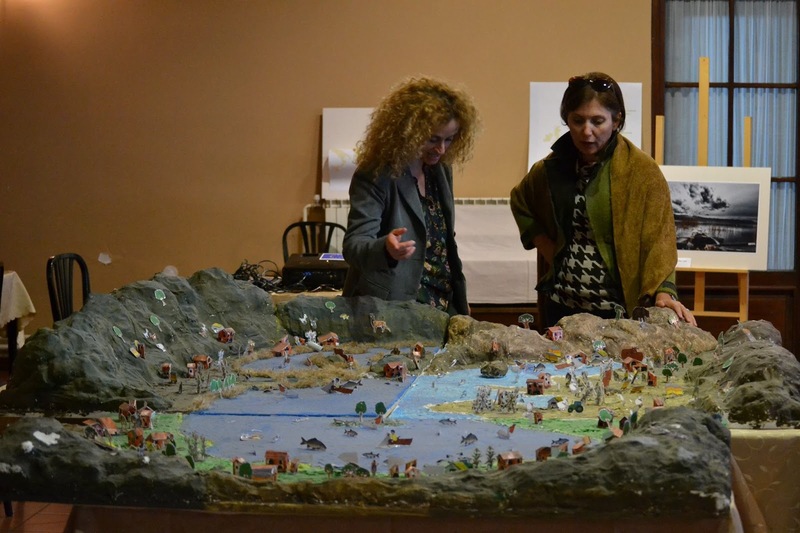 This event is organized every year in one of 3 countries: Greece, Macedonia and Albania. 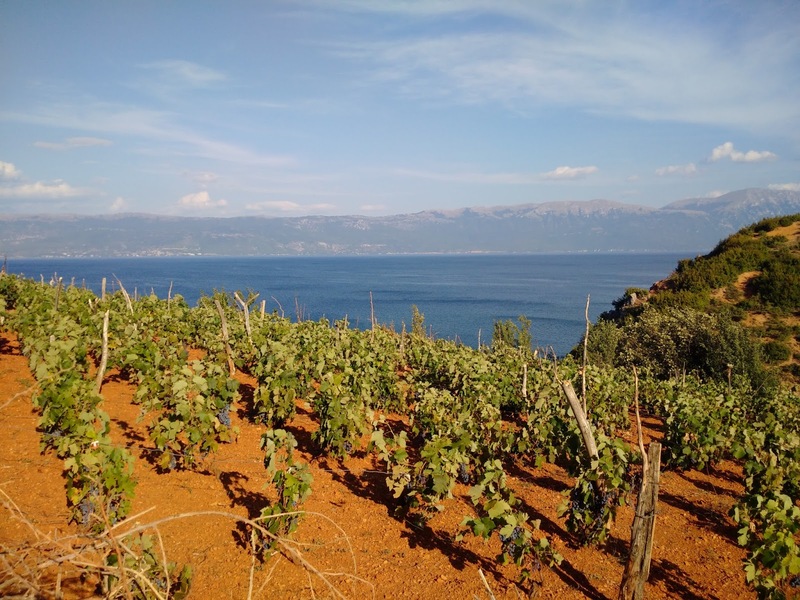 In the triangle between Albania, Greece and Macedonia in the far South of the Balkan Green Belt there is one of the most intriguing and varied landscapes of Europe. Lake Ohrid and Great and Little Prespa Lake are framed in impressive mountain ranges and are among the most ancient lakes in the world. Near and in the lakes there are a notable number of endemic species – that is to say species found nowhere else. In the two Prespa lakes alone there are seven endemic fish species. And Dalmatian Pelicans - threatened worldwide with extinction - are here in great numbers benefiting from the extraordinary wealth of fish in the lakes. 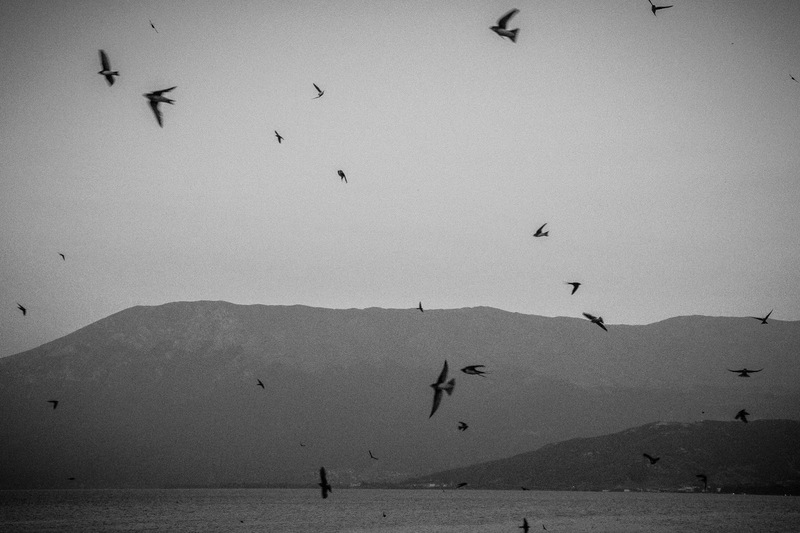 More than 1000 pairs of these majestic birds breed on the Little Prespa Lake - this is the largest colony world-wide. Lake Prespa and Lake Ohrid are among the longest-standing EuroNatur project areas. Thanks to the persistent efforts of EuroNatur and its Albanian partner organisation PPNEA the Prespa Lakes in Albania are now secured with their entire catchment area as a National Park and as an important element in the mosaic of the Balkan Green Belt. The Prespa National Park itself additionally forms part of the trans-boundary Prespa Park which links Albanian, Macedonian and Greek nature reserves along the one-time Iron Curtain. The Ministry of Economy, Tourism, Trade and Entrepreneurship (METTE), Albanian Investment Development Agency (AIDA) and the Albanian Tourism Industry, with the support of RisiAlbania Project are launching the third edition of the “Risi Turistike Award”, this time in the Korça region in order to foster the development on new touristic products. Korca is the Municipality which include the city of Pogradec, situated on the shore of Lake Ohrid, the oldest and deepest lake in Europe. The innovative tourism products will help to create new products and itineraries and or add value to the existing ones, by providing a richer and authentic experience for the tourists in both regions. Risi Albania is a SDC project aiming to facilitate youth employment. “Risi Turistike” is inviting all interested companies/ organizations to submit a proposal and business plan to develop and implement a new touristic product in the region of Korça. Deadline for submission of the proposals is November 10th 2016. The results of the competition will be announced during the public event on December 9th 2016. - Increase employment opportunities for youth in Korça region. The history and values of Lake Ohrid are featured in Australian leading national news media "The Australian"
ICONIC IMAGE: If there is one sight that symbolises Ohrid, in the Former Yugoslav Republic of Macedonia’s southwest, it is Church of St John (or Jovan) overlooking the lake. Built on a cliff above the fishermen’s settlement of Kaneo, a short water-taxi ride from the port, the Orthodox Church is dedicated to John of Patmos, who is also believed to be John the Apostle. While the exact date it was built is unknown, archaeologists believe it was in the 13th century, before the rise of the Ottoman Empire, with a mix of Byzantine and Armenian architectural styles. While there, grab a bite at one of the restaurants built into the rocks at Kaneo, which have inviting decks over the water. ANCIENT GLORIES: Ohrid is one of 28 UNESCO World Heritage-listed sites recognised for both their natural and cultural attributes. With its narrow cobblestone streets and traditional two-storey houses with rectangular windows and timber beams, the medieval old town is a wonderful place to wander. Built in 200BC, the city’s well-preserved ancient theatre was once used for gladiator fights. Since being revived in the 1980s, it has been used as a venue for concerts and the performance of ancient plays and comedies during the annual Ohrid Summer Festival in July and August. A Game of Thrones-esque fortress also sits at the top of the hill overlooking the city. In the early 11th century, Ohrid was the capital of a Slavic empire ruled by Car Samuil, and his fortress was one of the most impregnable strongholds in the Balkans, with 16m-high walls that stretched for 3km. 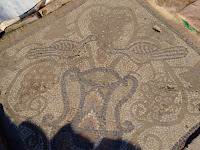 Archaeological excavations indicate the fortress was constructed on the site of an earlier fortification that was likely built by Alexander the Great’s father, Phillip II of Macedon, in the 4th century BC. The city is also home to one of the first Slavic universities, the Ohrid Literary School, which dates to the 10th century. SAIL AWAY: At 350sq km, Lake Ohrid is so big it feels more like an ocean. It is one of the oldest lakes in the world, formed by tectonic shifts in the Earth’s crust three to four million years ago and, at 300m, also one of the deepest. Hopping on a boat and exploring the lake and its many attractions is a must. Mato Co International offers tours ranging from half an hour to a full day that visit cave churches, fishing villages and monasteries. A highlight is the Museum on Water at the Bay of Bones, a recreation of a settlement that existed from 1600-800BC with houses built on a wooden platform on stilts. 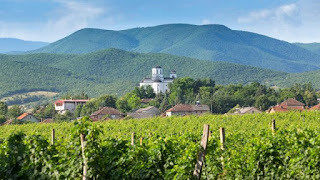 GRAPE ESCAPE: On a similar latitude to California’s Napa Valley and Tuscany in Italy, this area is emerging as a wine destination. Evidence of oak wine barrels from 500BC have been found near the capital city of Skopje, 170km from Ohrid, and the country has more than 100 wineries. 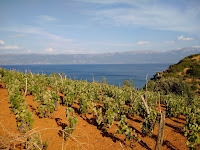 The most famous grape variety is vranec, which means “a strong, black and powerful horse”, and accounts for nearly half of the vineyards planted with red grapes. But cabernet sauvignon, merlot, pinot noir, shiraz, chardonnay, sauvignon blanc, muscat and riesling are also grown. Tikvesh Winery, Stobi Winery and Popova Kula Winery are all worth a visit on a day trip. 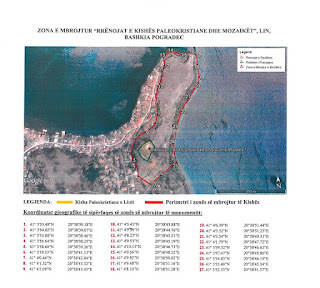 The Albanian National Council of Restoration approves the boundaries of the potential World Heritage property The National Council of Restoration under the Albanian Ministry of Culture through a decision on 25 May 2016 approved the proposal for delineation of the boundary of the potential extension of the transboundary World Heritage property and its buffer zone. 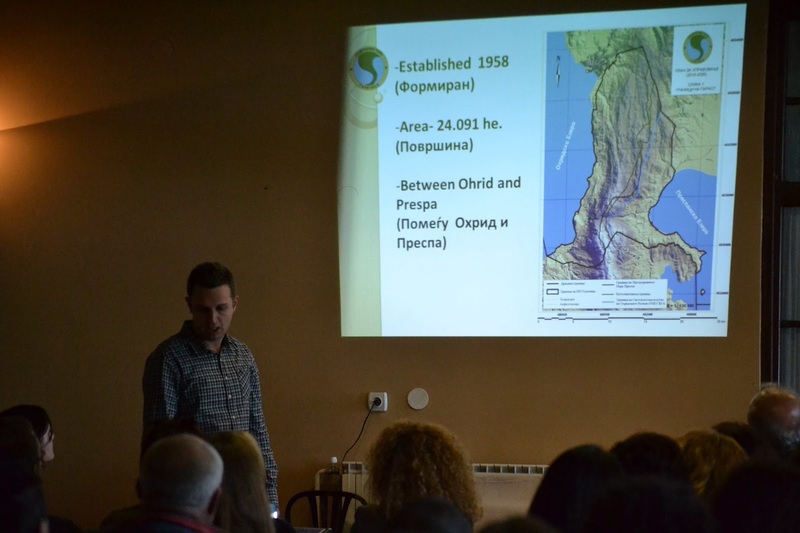 Based on the results of the joint field mission: ICOMOS, IUCN, ICM, NAPA, RAPA, Municipality of Pogradec and Institute of Archaeology carried out in March 2016 as a contribution to the identification of the boundaries, the National Council of Restoration decided to approve the proposal of the boundary of the potential transboundary World Heritage property that includes: the waterline of the Lake Ohrid, cultural features of the landscape of the Lin Peninsula and Lin Village, areas critical to the scenic integrity of the Lake Ohrid (Drilon, coastal landscapes to the North of Lin), pile dwelling areas. 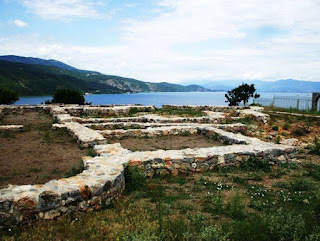 This is a great milestone the in preparation of a nomination file to extend the World Heritage property "Natural and Cultural Heritage of the Ohrid region" to the Albanian side. Këshilli kombëtar i Restaurimeve në varësi të Ministrisë së Kulturës, përmes një vendimi të datës 25 maj 2016 ka miratuar propozimin për përcaktimin e kufijve të zgjerimit të mundshëm të pasurisë ndërkufitare të Trashëgimisë Botërore të Liqenit të Ohrit dhe zonës së saj. Bazuar në rezultatet e misionit faktëmbledhës të kryer nga ICOMOS, IUCN, ICM, AKZM, RAPA, Bashkia e Pogradecit dhe Instituti i Arkeologjisë kryer në mars të vitit 2016, Këshilli Kombëtar i Restaurimeve vendosi të miratojë propozimin e kufirit që do të përfshijë: vijën e Bregut të Liqenit, veçoritë Kulturore të pejsazhit të Gadishullit të Linit dhe Fshati Lin, Zonat kritike për integritetin skenik të Liqenit (Driloni, peisazhi i bregut në veri të Linit) si dhe zonat ku janë identifikuar vendbanimet palafite. Ky është një hap i madh për përgatitjen e dosjes nominale për të zgjeruar pasurinë e Trashëgimisë Botërore të Rajonit të Liqenit të Ohrit me pjesën shqiptare. 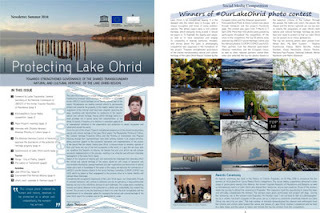 In this edition published in Summer 2016, besides information about meetings, activities and and updates on the progress of the Lake Ohrid project, the reader will get to know the winners of social media Photo Contest: http://lakeohrid.blogspot.al/2016/05/10-winners-of-ourlakeohrid-social-media.html which lasted from 7 March- 7 April 2016 with hashtag #OurLakeOhrid, on Facebook and Instagram with almost 450 submission competing for "Top Ten". They were voted not only for the good quality photo, but also for the story behind it. 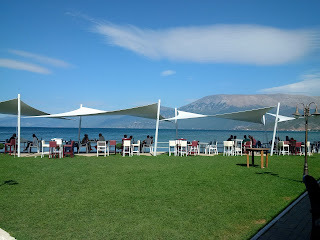 The social media competition helped at raising awareness about the unique values of Ohrid Lake. and some original articles on tourism aspects of Struga, Macedonia and hospitality in Tushemisht, Albania. 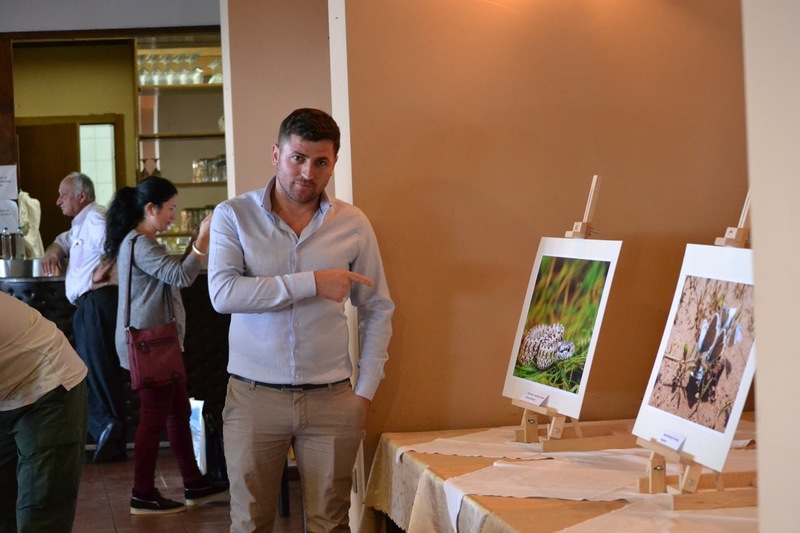 The third edition will be published in Autumn and will bring more news on activities, and developments in the frame of this 3 year project, financed by European Union and Albanian Ministry of Environment and implemented by UNESCO. More is to come, stay with us! 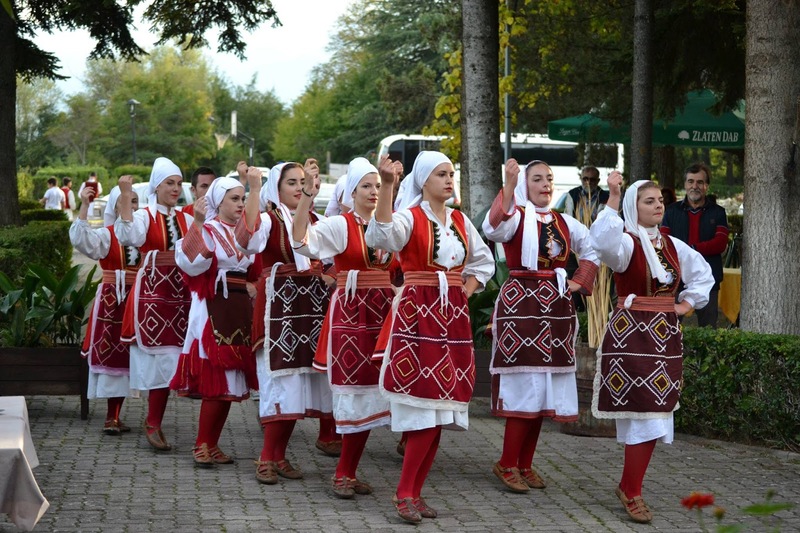 The Lake Ohrid region has a unique cultural and natural heritage of Outstanding Universal Value, enabling its inscription in 1979–1980 on the UNESCO World Heritage List for the Macedonian part of the region. Macedonians are making constant efforts to permanently protect and preserve the property. In this regard, several laws and regulations at the national level have been adopted, governing the ways, conditions and opportunities for protection of the region’s natural and cultural heritage. Having World Heritage status is a great privilege, but it places duties and responsibilities on the whole of society. It requires us to maintain a consistent application of international standards in the preservation and protection of values recognized and celebrated around the world. Since the start of the project ‘Towards strengthened governance of the shared transboundary natural and cultural heritage of the Lake Ohrid region’, the Macedonian Ministry of Culture, the Cultural Heritage Protection Office and the Ministry of Environment and Physical Planning, through their representatives, have been actively involved in all project activities, giving maximum support to the successful realization and implementation of the project in the period that lies ahead. 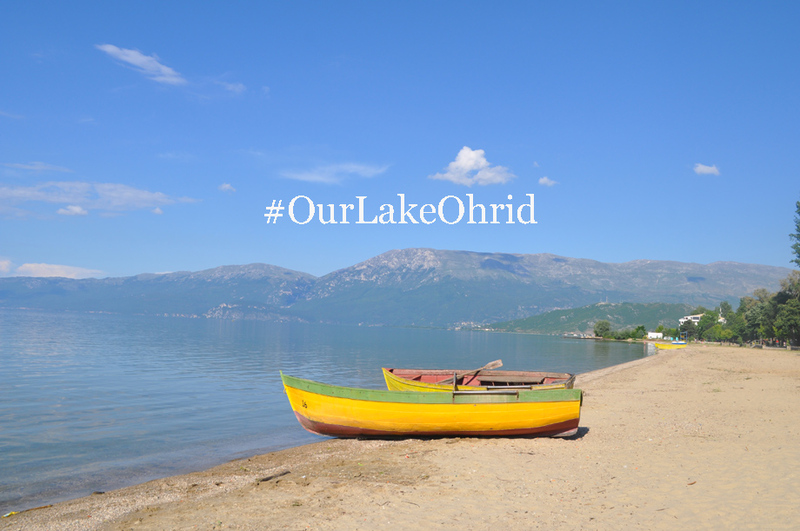 Saving Lake Ohrid, a treasure house for endemic species of flora and fauna and one of the best ecosystems in the world, is a goal that we share with our neighbor the Republic of Albania. 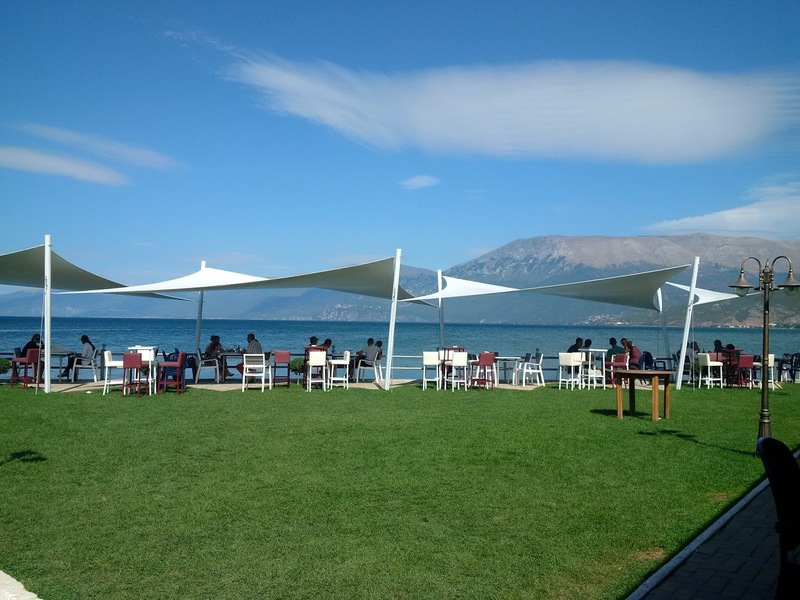 We believe that with joint efforts we will achieve successful implementation of this process, resulting in an effective and efficient integrated management of the Lake Ohrid region. Aware of the necessity of dealing with and minimizing the challenges that adversely affect the natural and cultural heritage of the region, above all, with issues of excessive and uncontrolled urbanization, sewage treatment, and over-exploitation and destruction of natural values and a lack of knowledge of the values of this region, we welcome the contribution of UNESCO and the Advisory Bodies to the World Heritage Committee ICCROM, ICOMOS and IUCN, which by means of their engagement in this process allow us to better identify and address these challenges. Considering the exceptional importance of the Lake Ohrid region, our Government, through its national institutions, will continue to selflessly care for its well-being, a responsibility that belongs not only to the institutions, but also to each individual. This unique place, created by humans and nature, deserves to be protected as a whole and, undoubtedly, the moment has arrived. This process is only the beginning of what is to come: the joint management and the establishment of an integrated system for managing the natural and cultural heritage of the Lake Ohrid region for ourselves and for the generations to come. 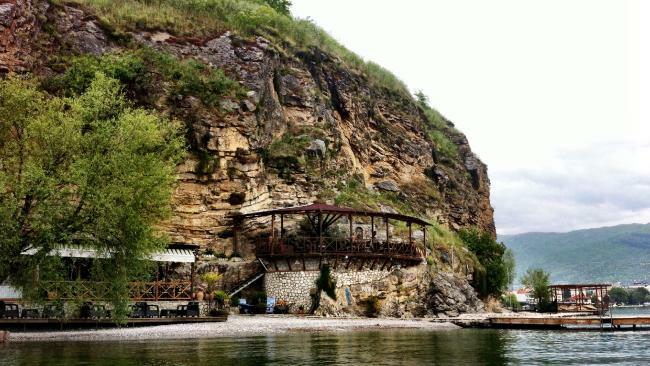 This article is published at Project's Newsletter: Protecting Lake Ohrid, summer edition. 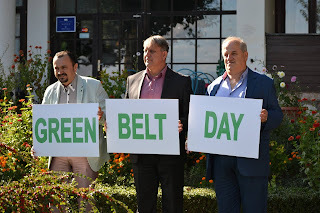 Rajoni i Liqenit të Ohrit ka një trashëgimi unike kulturore dhe natyrore me vlerë të jashtëzakonshme universale duke bërë të mundur futjen e pjesës maqedonëse në listën e Trashëgimisë Botërore në UNESCO në vitet 1979-1980. Maqedonasit janë në përpjekje të vazhdueshme për të mbrojtur dhe ruajtur këtë trashëgimi. Në këtë drejtim, janë miratuar disa ligje dhe rregulla në nivel kombëtar, të cilat rregullojnë mënyrat, kushtet dhe mundësitë për mbrojtjen e trashëgimisë natyrore dhe kulturore të rajonit. Të kesh statusin ‘Trashëgimi Botërore’ është një privilegj i madh, por ky status vendos detyra dhe përgjegjësi për të gjithë shoqërinë. Ai kërkon që të zbatojmë në mënyrë të vazhdueshme standardet ndërkombëtare në ruajtjen dhe mbrojtjen e vlerave të njohura nëpër botë. Që në fillim të projektit “Drejt një qeverisje të përbashkët të trashëgimisë natyrore dhe kulturore ndërkufitare të rajonit të Liqenit të Ohrit”, Ministria Maqedonase e Kulturës, Zyra e Mbrojtes së Trashëgimisë Natyrore dhe Kulturore si dhe Ministria e Mjedisit dhe Planifikimit Hapësinor, kanë qenë të përfshirë nëpërmjet përfaqësuesve të tyre në mënyrë aktive në të gjitha aktivitet e projektit, duke dhënë mbështetjen maksimale për realizimin dhe zbatimin e projektit që do zbatohet në të ardhmen. Ruajtja e Liqenit të Ohrit, një vend thesar për speciet endemike të florës dhe faunës dhe një nga ekosistemet më të të mira në botë, është një objektiv i përbashkët me fqinjin tonë, Republikën e Shqipërisë. Ne besojmë se me përpjekje të përbashkëta do të arrijmë një zbatim të suksesshëm të këtij procesi, duke rezultuar në një menaxhim efektiv dhe efikas të integruar të rajonit të Liqenit të Ohrit. Të vetëdijshëm për domosdoshmërinë që kanë të bëjnë me të dhe duke minimizuar sfidat që ndikojnë negativisht në trashëgiminë kulturore dhe natyrore të rajonit, mbi të gjitha, me çështjet e urbanizimit të gjerë dhe të pakontrolluar, trajtimin e ujërave të zeza dhe mbishfrytëzimi dhe shkatërrimin e vlerave natyrore dhe mungese e njohjeve të vlerave të këtij rajoni, ne mirëpresim kontributin e UNESCO-s dhe organeve këshilluese të Komisionit të Trashëgimisë Botërore ICCROM, ICOMOS dhe IUCN , të cilat me anë të angazhimit të tyre në këtë proces të na mundësojnë si të identifikojmë më mirë dhe të adresojmë këto sfida. Duke pasur parasysh rëndësinë e jashtëzakonshme të rajonit të Liqenit të Ohrit, Ish-Republika Jugosllave e Maqedonisë, përmesë institucioneve te saja kombëtare do të vazhdojë me altruizëm të kujdeset për mirëqenien e tij, një përgjegjësi që i përketë jo vetëm institucioneve por edhe çdo individi. Ky vend unik, krijuar nga njerëzit dhe natyra , meriton të mbrohet si i tërë dhe, pa dyshim ka ardhur koha. Ky proces është vetëm fillimi asaj që do të pasoj; menaxhimin e përbashkët dhe krijimin e një sistemi të integruar për menaxhimin e trashëgimisë së vlerave kulturore dhe natyrore të rajonit të liqenit të Ohrit për veten tonë dhe për brezat që do të vijnë.